Instead of sitting back and waiting for events to unfold, you can take action now to protect yourself if the Buffett rule, or some variation of it, works its way into the tax law. Here’s the whole story: The Buffett rule is based on the concept that everyone, regardless of his or her station in life, should pay a “fair” share of the federal income tax burden. It was initially proposed by billionaire investor Warren Buffett, who last year paid an effective tax rate that was claimed to be lower than his secretary’s. is enacted, you could use perfectly legitimate tax strategies to whittle down your tax liability, but you’ll still be hit with a top tax rate of no less than 30%. In this case, the best defense may be a good offense. Here are six steps that could minimize the tax fallout if Congress enacts the Buffett rule. set to reach as high as 39.6%. 2. Postpone capital gains. On the flip side, it may not be the best time price-wise to unload some of your securities or to put out “for sale” signs on real estate. Fortunately, you don’t owe any tax on appreciated property until you actually sell it. 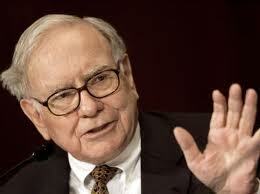 Therefore, you might hold onto the property until the Buffett rule goes away or you can pass it to your heirs. 3. Stock up on munis. The value of tax-free income, such as the interest earned from most municipal bonds (“munis”) and muni bond funds, becomes even greater under the Buffett rule. You might allocate a bigger portion of your portfolio to these obligations. will remain in place. Giving large gifts to tax-exempt organizations sooner rather than later may bring you below the $1 million mark. 5. Donate appreciated property. Combine the idea of accelerating capital gains with giving to charity. If you’ve held the property longer than one year before you donate it, you can generally deduct the fair market value of the property, instead of its basis. Therefore, you don’t ever pay any tax on the appreciation in value. 6. Move to a no-tax state. As part and parcel of the Buffett rule, the deduction for state and local income taxes may be repealed. If you’re about to retire and move anyway, you could shuffle off to a state with no state income tax, like Florida or Nevada, or at least one with a low tax rate (see box above).